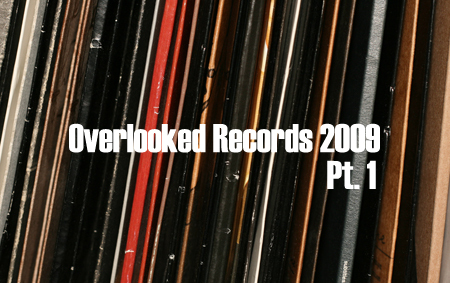 Overlooked Records 2009 (Pt. 1) | Chickens Don't Clap! Over the course of a year I end up listening to a lot of music. Some might say too much. And maybe they’ve got a point, since I invariably fail to mention a handful of records that made regular appearances in my listening rotation, for one reason or another. So, as I start to reflect on 2009, it’s only fair that these noteworthy albums get their due before my regularly scheduled features begin to trickle out. A number received far too little coverage most everywhere, so you may have allowed them to slip under your radar as well. Enjoy rectifying that along with me. 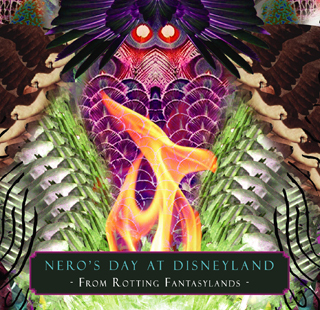 The chaotic blitz of Nero’s Day at Disneyland‘s breakcore wizardry is truly something to behold. A dizzying meld of haunting classical samples, warped and misshapen vocals, doomed waltz cadences, dread-inducing synth arpeggios, thunderous, rapid-fire percussive assaults, and a pure, piercing electronic fury, the cyberpunk mania of From Rotting Fantasylands is unrelenting and anarchic, often executed in extreme BPM. Yet, once you’ve stopped reeling from the sheer ferocity of it all, it’s clear that the solo work of Brock Bousfield is also constructed with meticulous fervor. And those rich, labyrinthine layers of delightfully miasmic sounds grab hold and never let go for the album’s duration. Featuring the work of Norwegian artist Andreas Barlseth, the art for From Rotting Fantasylands aptly mirrors the frenzy and delirium of Bousfield’s compositions, so be sure to pick up a copy… it’s doubtful you’ve heard anything quite like it this year (or ever). Buy: Stream the whole album (as a single mp3) over at SoundCloud. You can pick this up from iTunes or Amazon as MP3s, the CD is only available at live shows and Cargo Records at the moment. There’s very little tangible information about Swedish (?) group jj available out there on the internet. No website, no blog, no MySpace or Facebook page, no twitter — rarities even for artists keeping their identities a secret — and record label Sincerely Yours surely isn’t letting on to who they might be or where they’re from. Without much to go on, one can speculate away or simply revel in the mystery while absorbing the summery pop gems that jj dropped in 2009. A brief, tropical swirl of balearic and folk tinged pop, debut record jj n° 2 fits in perfectly as the chilled-out flipside to the breezy electronica of labelmates The Tough Alliance and Air France. Released on July 1st, it follows both A New Chance and No Way Down as Sincerely Yours’ latest stake on continued dominance of the “summer jam”. And with tracks as irresistible as the sunny and uplifting “From Africa to Málaga”, the drugged-out and euphoric “Lollipop”-remake “Ecstasy”, and the buoyant “Masterplan”, jj n° 2 may be the most convincing one yet. 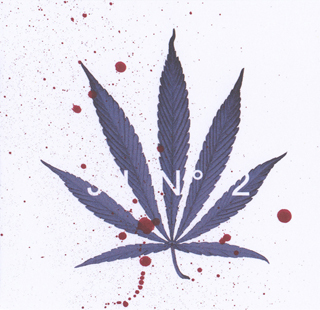 Buy: Stream jj n° 2 and then order it directly from Sincerely Yours as 320kbps MP3s. 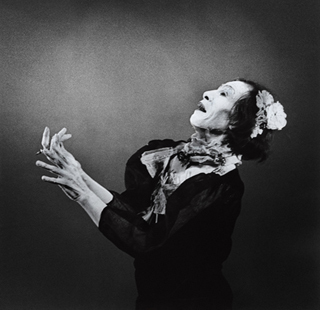 Buy: Pick up The Crying Light directly from the Antony and the Johnsons webstore. Album sequels can be a tricky business, particularly when an artist sets up an upcoming record as a sequel to a work held to be the best in their discography, let alone one of the greatest hip-hop records ever made. Results have included some modern classics like Tha Carter III and unexpected comebacks like Stillmatic, but there’s been plenty more disappointments (I’m looking at you Blueprint 2 and 3) along the way. Even against these odds, Only Built 4 Cuban Linx… Pt. II finds Raekwon comfortably reprising his role as ice-cold kingpin and cinematic storyteller, crafting an opus worthy of sharing the name of the original classic. These bleak tales thoroughly detail intersecting lives caught up in inner city drug trade and its associated fallouts with the same grit and vivid hood slang poetry that permeates the greatest Wu-Tang records. 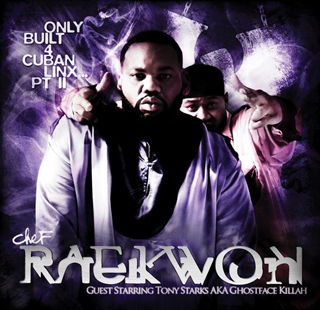 Dark, intense, disturbing, eloquent, and inimitable, Only Built 4 Cuban Linx… Pt. II is easily one of the best hip-hop albums of the last few years. 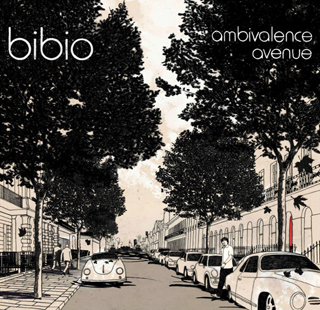 Buy: You can stream Ambivalence Avenue and buy it as CD, MP3s, or WAVs over at Bleep. Nice blog, just bookmarked it for later reading.